Munk founded Barrick in 1983 and built it into the world’s largest gold mining company in less than twenty-five years. He graduated from the University of Toronto in 1952 with a degree in electrical engineering. He co-founded Clairtone Sound Corp. in Toronto in 1956, at a time when sound systems were called “hi-fi’s.” The company made high-end consoles that included radios, turntables and, later, televisions. Clairtone attracted celebrity fans including Frank Sinatra and Hugh Hefner, but aggressive expansion plans contributed to staggering losses and Munk was ousted. Munk and his partner decamped for Fiji to invest in a hotel. They would turn that into the Southern Pacific Hotel Corp., which at its peak consisted of 54 resorts in the South Pacific. Munk sold the hotel business for $130 million and returned to Canada in 1979. Funds from that deal formed Barrick Investments in 1981, including ill-timed, money-loser Barrick Petroleum and Barrick Resources, which became Barrick Gold. Munk transformed Barrick into the world’s largest gold miner in less than 25 years via a string of canny acquisitions. He knew nothing about mining when he bought his first mine in 1983, a modest Ontario operation producing 3,000 ounces of gold and C$1.7 million in revenue. One year later, he acquired a deep talent pool with the purchase of an indebted Quebec miner. That expertise paved the way for Barrick's $62 million purchase of Goldstrike, a Nevada gold mine vastly bigger and richer than estimated by its vendor and still in operation. Munk twice tried to buy the world's second-biggest gold miner, Newmont Mining, but walked away because he wanted the merged company to remain Canadian. His ambition to transform Barrick into a global diversified miner like Rio Tinto, driving the 2011 acquisition of copper miner Equinox Minerals for C$7.3 billion, failed. Investors grew increasingly frustrated as Barrick took a multibillion dollar writedown on Equinox, suspended plans to build an Andean mine as costs soared to $8.5 billion and amassed $15 billion in debt. In 2014, Munk handed his chairman role to former Goldman Sachs president John Thornton. "I refer to you as often as I do, not primarily because I love you, which I do, but because it helps me immeasurably lead Barrick by reminding all of our people and partners who we are, where we came from and where we are going," Thornton told Munk at a 2017 annual meeting. One of Canada’s most significant philanthropists, Munk donated nearly $300 million to causes and institutions that were close to his heart. With his wife, Melanie, he established the Peter Munk Cardiac Centre at the Toronto General Hospital in 1997. Munk donated more than $175 million to the institution, including a $100 million contribution in September last year, which remains the largest single gift ever made to a Canadian hospital. The historic gift is currently being invested in efforts to optimize the quality of care and improve health outcomes for those struggling with cardiovascular diseases, both domestically and abroad. To his alma mater, the University of Toronto, Munk gave $47 million to create what has become Canada’s preeminent degree-granting institution for the research and study of global affairs, the Munk School of Global Affairs. In 2008, he founded The Munk Debates, which quickly became Canada’s most important public policy debate series, bringing the world’s brightest minds together to debate the biggest issues of our time. 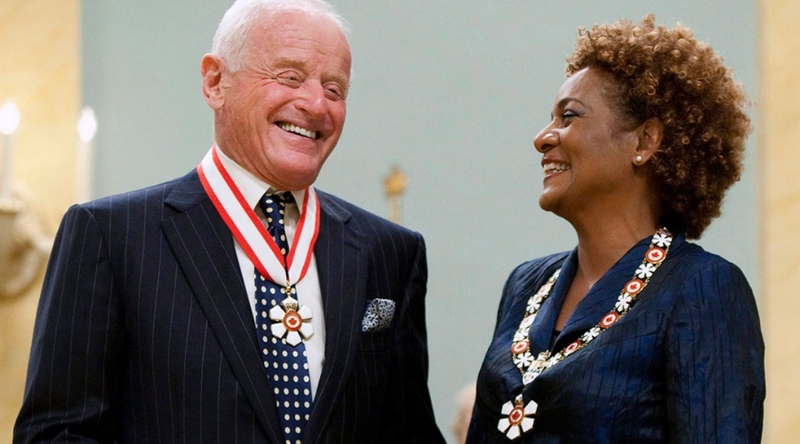 Laureen and I are saddened to hear of the passing of Peter Munk. Peter personified the realization of the Canadian dream: arrived in Canada as a refugee and built an impressive business and incredible philanthropic legacy. His life serves as an inspiration for us all. Munk received numerous awards and honours, including honorary doctorates from the University of Toronto, Concordia University, Bishop’s University, and the Technion-Israel Institute of Technology. In 2008, he was named a Companion of the Order of Canada, the country’s highest civilian honour, limited to no more than 165 living Canadians at any one time. Munk is survived by Melanie, his wife of 45 years; by his five children, Anthony, Nina, Marc-David, Natalie, and Cheyne; and by his fourteen grandchildren. 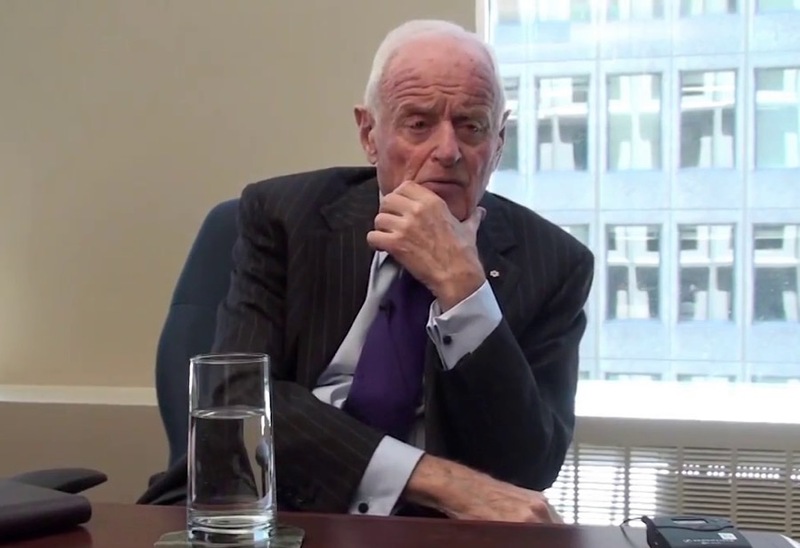 To learn more about Peter Munk's life please click here. In lieu of flowers, Barrick noted that donations may be made to the Peter Munk Cardiac Centre.